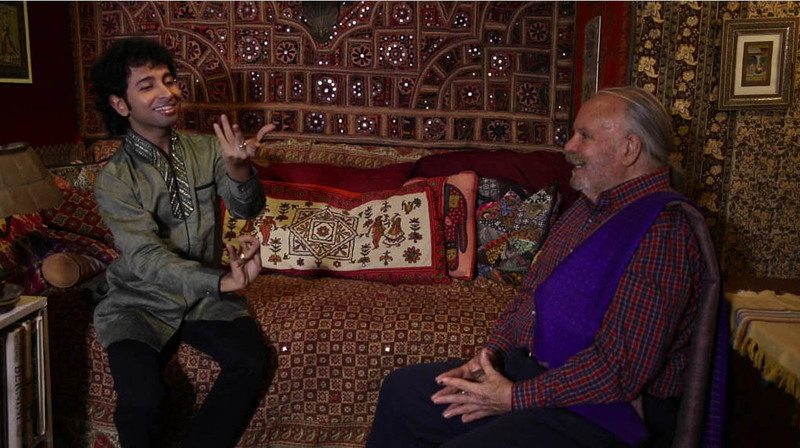 In a scene from the film Homme de danse, Vincent Warren, right, watches as Arnab Bandyopadhyay demonstrates gestures from Indian classical dance. Ballet dancer, ballet teacher, dance historian and archivist, Montrealer and Québecois by choice, Vincent Warren is, or has been, all of those things. He’s also a superb raconteur, and many of his stories are hilarious. He shares those stories in Un Homme de danse (A Man of Dance) a film directed by Marie Brodeur. Like many Montrealers, Warren speaks English and French and often switches from one to the other in mid-sentence. He wears a scarf with great panache, too! I didn’t know his name before seeing Homme de danse, but I soon realized that I had seen Warren dance many times; he is the male dancer in Pas de deux, an award-winning film that Norman McLaren made for the National Film Board of Canada in 1968. (The ballerina is Margaret Mercier and the choreography is by Ludmilla Chiriaeff.) With its mesmerizing multiple exposures, the film was ground-breaking for its time. If I had a nickel for every time I saw it back in my school days. . .
Vincent Warren and Margaret Mercier dance in Pas de deux, a film that Norman McLaren made for the National Film Board of Canada in 1968. In yet another claim to fame, Warren danced the title role in the ballet Tommy, which choreographer Fernand Nault created for Les Grands Ballets Canadiens in 1970, using music from the rock opera of the same name by The Who. 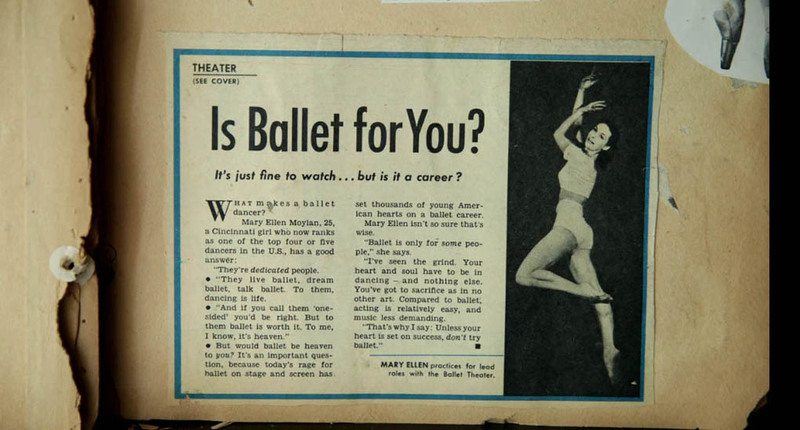 The work appealed to young audiences and encouraged young men to consider careers in ballet. A page from Vincent Warren’s ballet scrapbook. He was smitten by dance after he watched the 1948 film The Red Shoes. After finishing high school Warren headed to New York where he received scholarships to the American Ballet Theater School (Rudolf Nuryev was in his class!) and then to the Metropolitan Opera Ballet School. He was hired by the Metropolitan Opera at a time when Maria Callas and Renata Tebaldi were performing there. 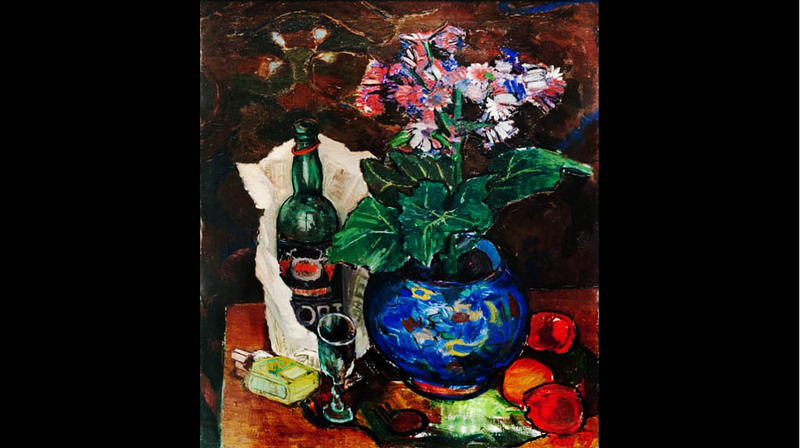 Warren was a party animal, hanging out until the early-morning hours with the poet Frank O’Hara and his gang of abstract expressionist painters. Warren also danced at the Sante Fe Opera Ballet, with an orchestra conducted by Igor Stravinsky. (Warren has a good Stravinsky story – but better you should hear it from him than from me.) In the summer, Warren worked in summer stock, where companies presented a new musical each week and performed as many as eight in one season. In 1961 Warren joined Les Grands Ballets Canadiens, under the direction of Ludmilla Chiriaeff. He danced with the company until 1979, when he turned 40. He then taught performance and dance history until 1992 at École Supérieure de Danse du Québec, the school connected to Les Grands. The school had a tiny library with little more than 300 books. Warren donated thousands of his own books, magazines and prints to turn it into the best dance library in Canada. 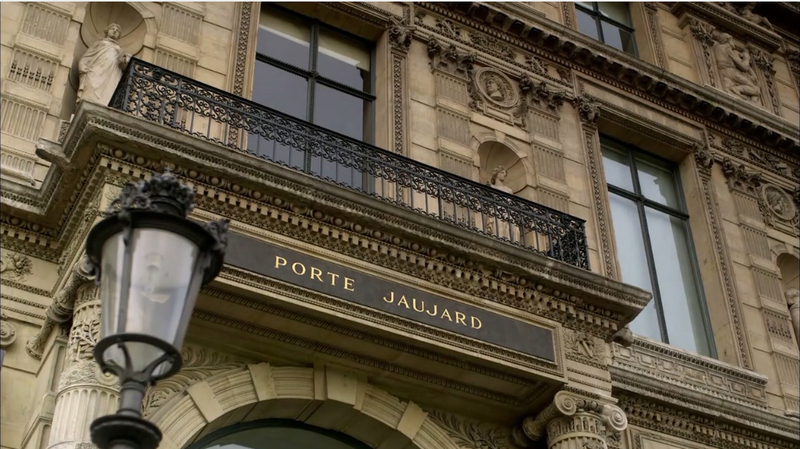 It’s now called Bibliothèque de la Danse Vincent-Warren, and it’s open to the public. “We want you to visit,” Warren said at the screening I attended. Warren is not the only one who gets to tell stories – we also hear from dancers Véronique Landory, Annette av Paul, Anik Bissonnette, choreographers Brian Macdonald, Jeanne Renaud, Paul-André Fortier, Aileen Passloff, and journalist Linde Howe-Beck. Warren’s longtime friend, Peter Boneham, another American dancer and choreographer who made a home in Canada, is a real hoot. The two could probably form a comedy act if they wanted to. Homme de danse might be a history lesson or a nostalgia fest, depending on the age and interests of the viewer. There’s footage of Place des Arts, so new that it’s still surrounded by rubble, a glimpse of former Montreal Mayor Jean Drapeau, colourful scenes at the World’s Fair, Expo 67, and excerpts from many ballets, too. I was surprised to learn that Radio-Canada used to present live ballet performances two to four times per week. After living in a second-floor apartment in Mile End for 47 years, “like an old bear in his cave,” Warren decided to move to a ground-floor place. 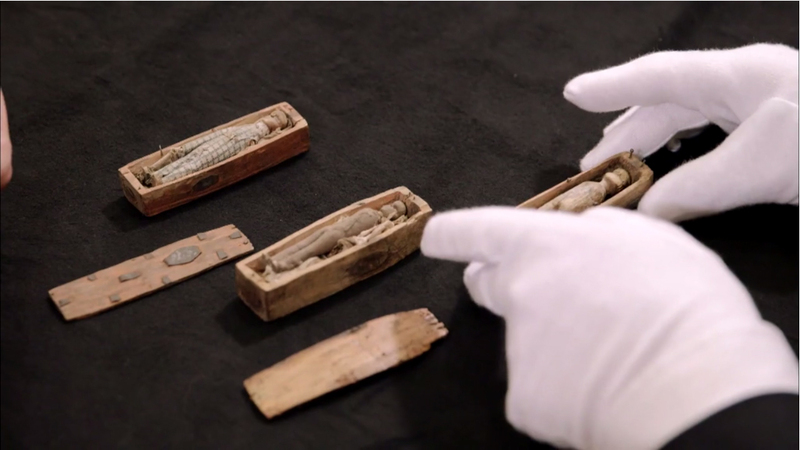 Director Brodeur filmed him as he packed up his possessions; it was a great idea, since so many of those objects sparked memories and stories. Un Homme de danse (Man of Dance) directed by Marie Brodeur, will be shown as part of FIFA, Festival International du Film sur l’Art, on Sunday, March 20, 2016 at 5 p.m. in the Maxwell Cummings Auditorium of the Montreal Museum of Fine Arts, 1379 Sherbrooke St. W. Vincent Warren will attend the screening. General admission tickets are $12.50; seniors (65 and older) pay $11; those 25 and younger pay $10; children 12 and younger pay $5. 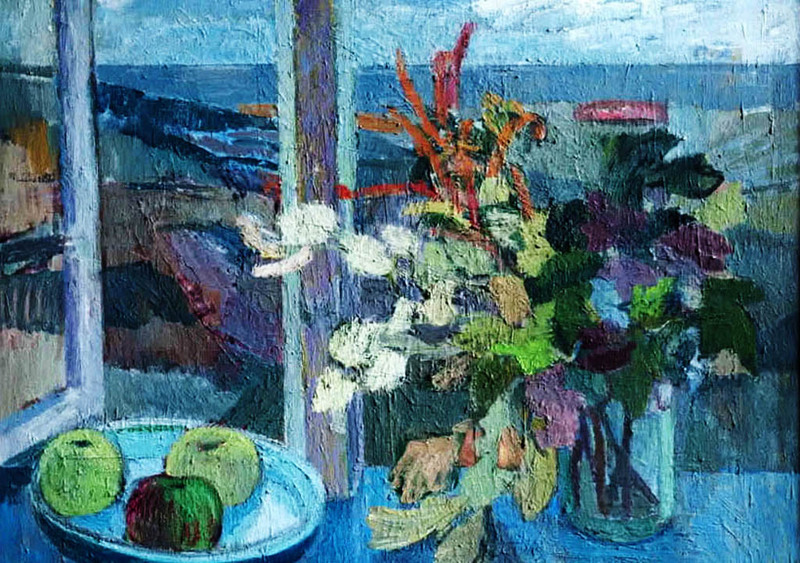 A still life by Tove Jansson, from the documentary film Escape From Moominville. No need to be a Tove Jansson fan, or to know anything about her to enjoy Escape From Moomin Valley, it’s such a visual pleasure. 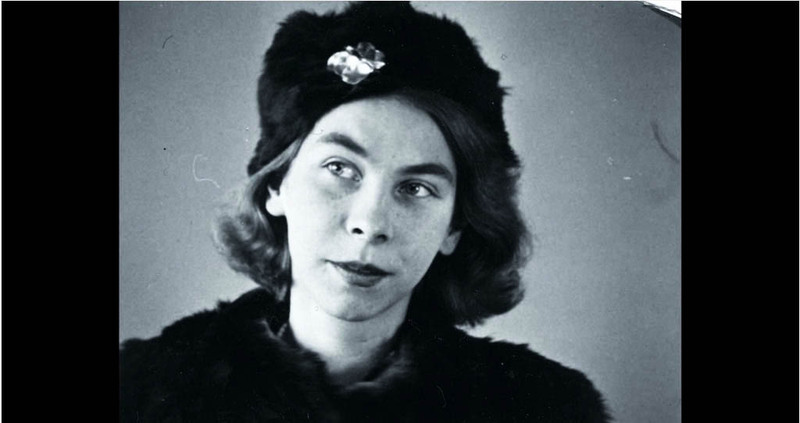 Artist and author Tove Jansson as a young adult, from the documentary film Escape From Moominville. 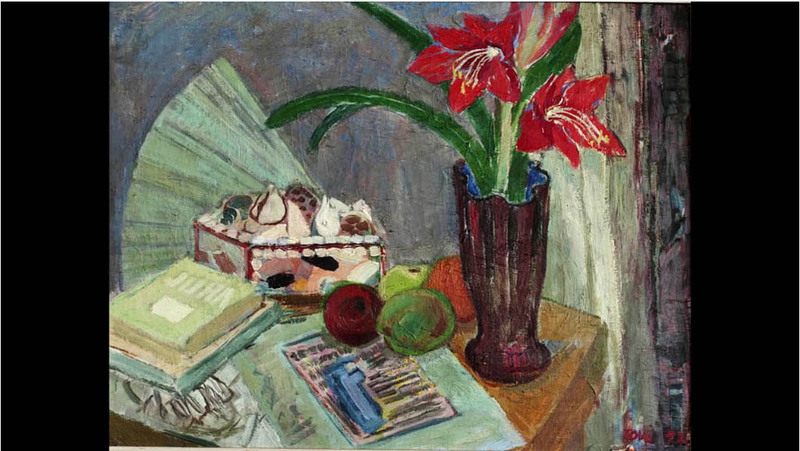 Jansson wrote short stories for adults and plays, as well, but she always considered herself a painter first and foremost. That’s what she wrote on her tax return, according to Escape From Moomin Valley. Jansson came from an arty family; her father was a sculptor, her mother a graphic artist. She was expected to be an artist and a good one, too. The film uses lots of photos, sketches, paintings and extracts read from Jansson’s letters and diaries to fill us in on her family life (she often argued with her father) her friends, her art classes and her travels. She studied in Stockholm and Paris, and visited Dresden, Brittany and Florence. Probably many other places, too. She was a forceful character and her art is wonderful to look at. Her studio is quite impressive, too. You might be jealous! Jansson speaks briefly in the film and there are many remarks from her brothers, niece, and childhood friends. Escape From Moominvalley is being shown as part of a double bill with the 55-minute film J.R.R. Tolkien: des mots, des mondes. A review of that is coming up! There’s a connection, too – while I don’t remember it in Escape From Moominvalley, Jansson illustrated a Swedish edition of The Hobbit. Sunday, March 29, 2015, 1:30 pm, J.A. de Sève Theatre, McConnell Library Building, Concordia University, 1400 de Maisonneuve Blvd. W.
Ana Rewakowicz’s Sleeping Bag Dress expands to become a kind of cocoon, in the documentary film Microtopia. 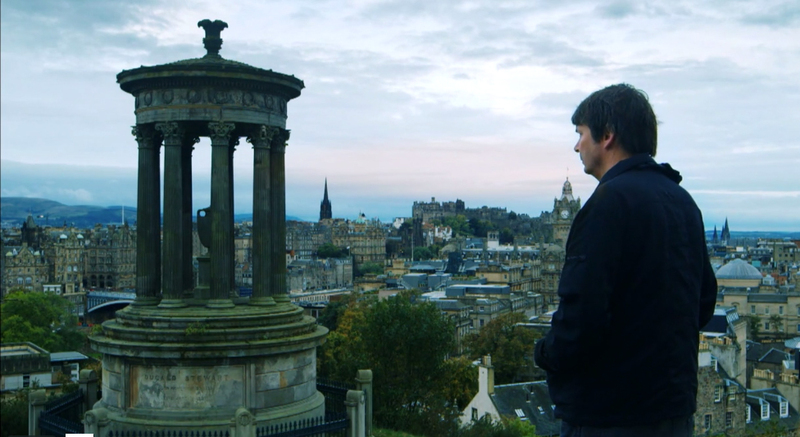 Previous screenings of Microtopia at the Festival International du Film sur l’Art (FIFA) were sold out; an extra screening has been added for Sunday March 29, 2015. Another film, Strange and Familiar: Home and Architecture on Fogo Island, will be shown with it, as part of a double bill. Microtopia is about possibilities, news ways of thinking and living. It features tiny houses, micro dwellings, and a VERY portable shelter – the Sleeping Bag Dress. 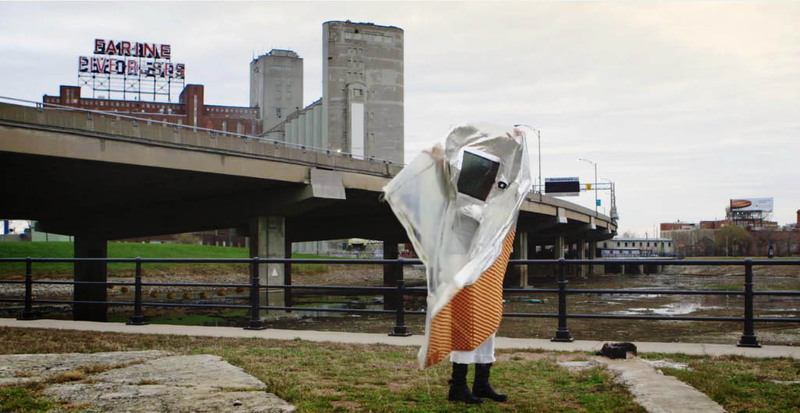 Montreal artist Ana Rewakowicz arranges her Sleeping Bag Dress, in the documentary film Microtopia. Note the Farine Five Roses sign in the background. In northern California, Jay Shafer is living in his fourth tiny (and tidy) house. He built it himself. It’s made of dark wood and from the outside it looks like something a surbanite might put in the backyard as a place to store the lawnmower or where children can play house. The exposed wood on the inside gives it a warm and cosy look. Burners for cooking hang on the wall when not in use, to free up counter space. Shafer explains that in the U.S., there are regulations that specify a minimum size for rooms in a house. He got around this restriction by putting his dwelling on wheels; strictly speaking, it is no longer a house. 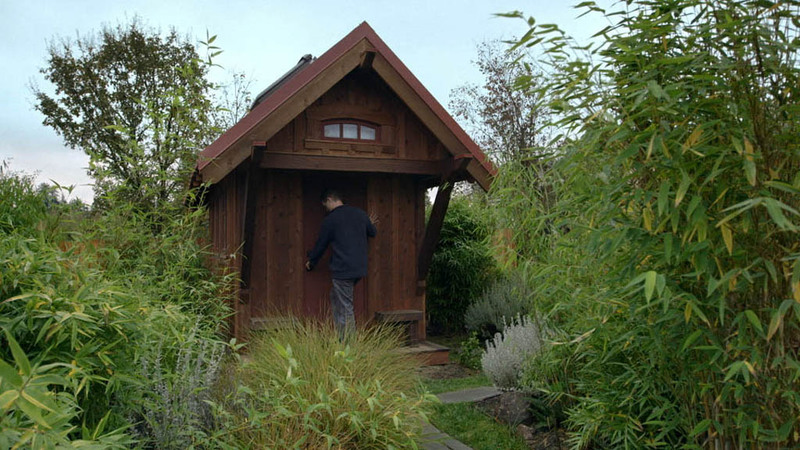 Jay Shafer’s tiny house in the documentary film Microtopia. It is being shown on Sunday, March 29, at FIFA, Montreal’s Festival of Films on Art. Jennifer Siegel makes homes from former shipping containers, or long-haul trucks. These look relatively spacious compared to Shafer’s home. 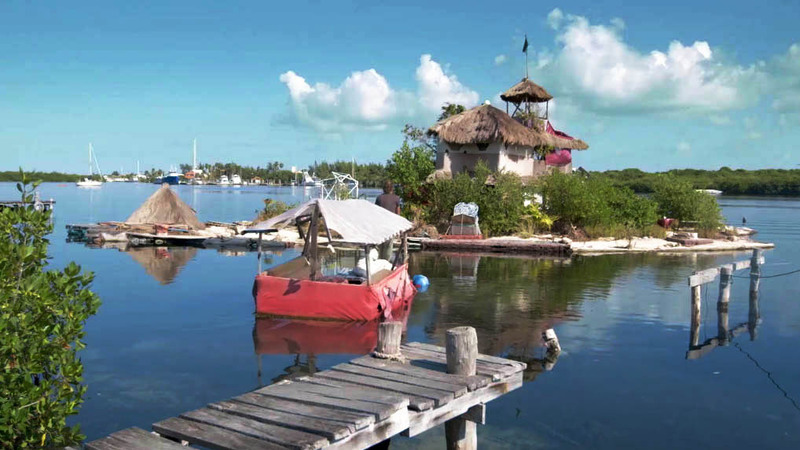 In Mexico, Richart Sowa built his own floating island on a base of wooden pallets and reclaimed plastic bottles. (“Boats rock but island roll,” he says.) It is quite ramshackle, compared to Shafer’s construction. Richart Sowa built his own island in Mexico, using wooden pallets and plastic bottles, lots of plastic bottles. Sowa is one of several participants in the documentary film Microtopia. Greek architect Aristide Antonas proposes making a home from old tanker trucks, though he admits living in one might feel like being in prison. 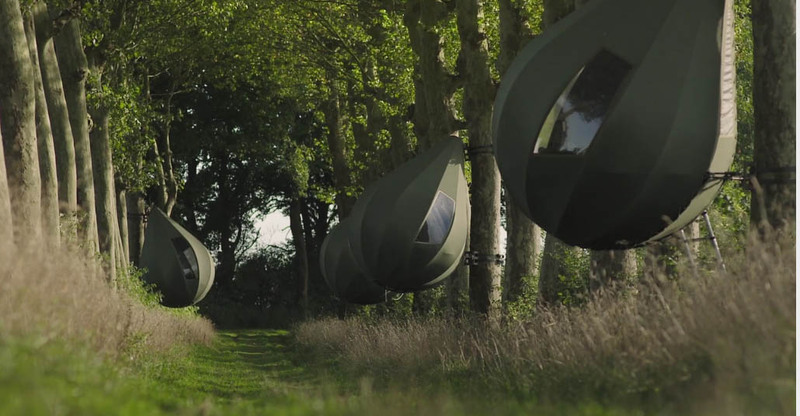 Dre Wapenaar of the Netherlands hangs pod-like tents from trees. He had designed them with the thought that eco-activists could use them while carrying out “actions” to save forests, but before he could contact any such activists, a campsite owner offered to buy them. Dre Wapenaar of the Netherlands designed these tree tents. Rockabye baby! 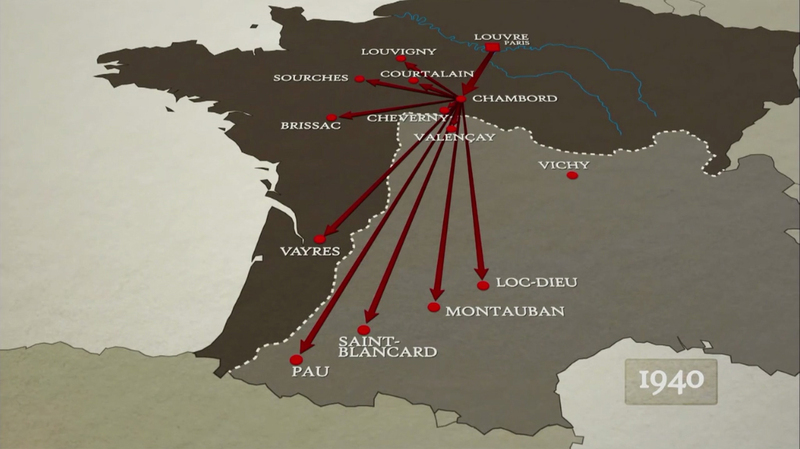 There’s even a Montreal segment! Artist Ana Rewakowickz, who’s originally from Poland, demonstrates the Sleeping Bag Dress within sight of the famous Five Roses Flour sign. And that brings me to one of my quibbles about the film. 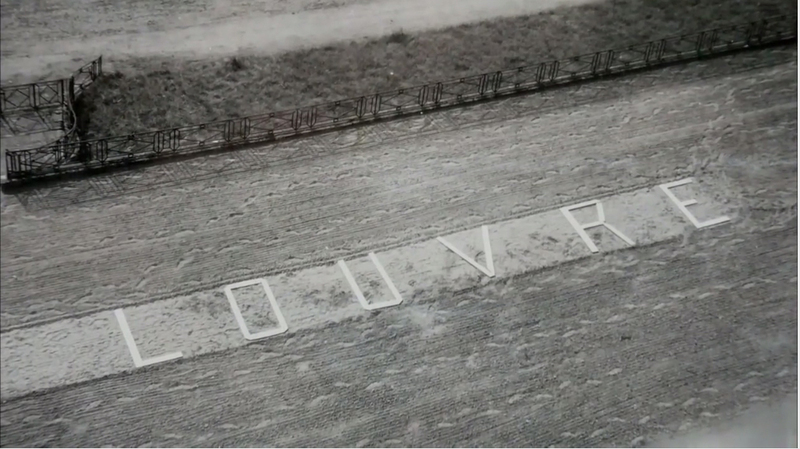 During the opening credits, we see the names faces and dwellings of the participants while they say a few words. That’s the last time we see their names. They rarely say where they are, either. Three people were obviously in the U.S., and two of them were in deserts, though it was not clear if it was the same desert, or what state they were in. I had to Google Sowa to find out where his island was. Maybe I should recognize Copenhagen when I see it, but I had to Google Sorvin, too. The artists and architects in the film talk about reusing and recycling, shrinking their environmental footprints, and ask how much stuff and how much space do we really need, etc? I cannot agree with Jennifer Siegel’s statement that we can keep all our memories on our hard drives now, and therefore we can get by with very few physical things. Speak for yourself, lady! There must be a happy medium, no? Cinquième Salle of Place des Arts, 175 Ste. Catherine St. W.
Image from the documentary film Donald Duck Ð Le Vilain Petit Canard En Nous, which is being shown in Montreal at FIFA, the Festival International du Film sur l’Art. Ninety minutes devoted to Walt Disney’s film and comic book character Donald Duck? Yessireebob! In truth, Donald Duck – Le Vilain Petit Canard En Nous, is more like two films, awkwardly cobbled together. For about the first 30 minutes, it’s all about The Donald. Apparently, he is really big in Europe. Every week, to this very day, in some European countries, one person in four reads about Donald Duck. Who knew? Asssorted people from France, Germany and Scandinavia talk about their first encounter with the cranky fowl and what he means to them. 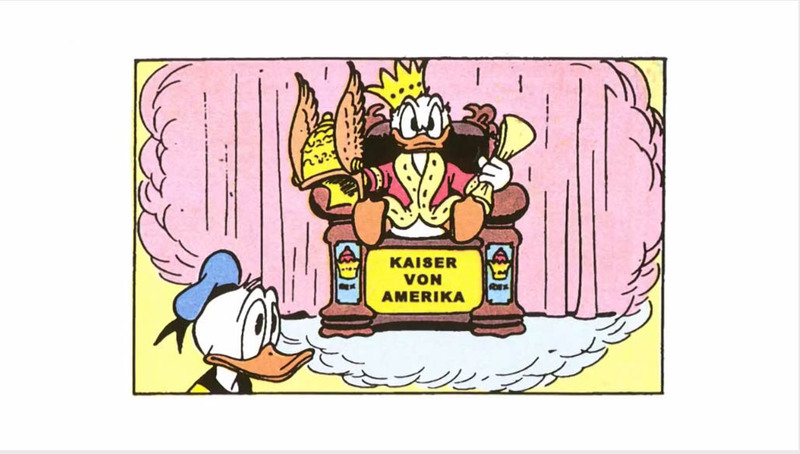 After World War II, Donald Duck was part of an effort to de-Nazify German children. In translating the comics into German Erika Fuchs made them more literary, witty and thoughtful than the originals. 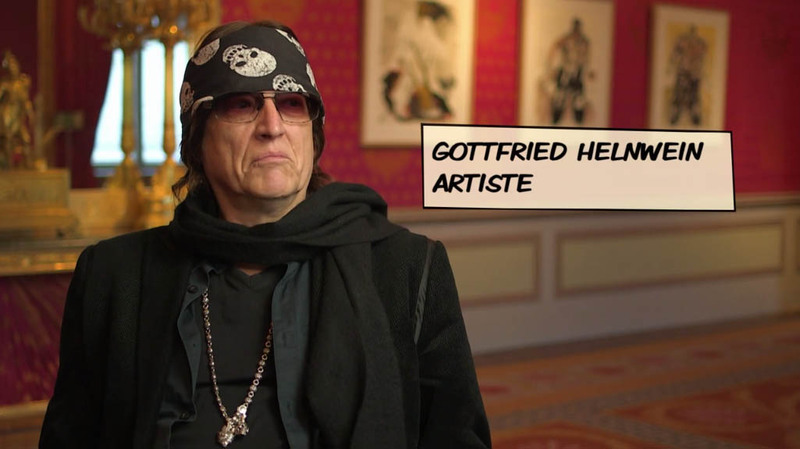 Gottfried Helnwein of Germany is one of the many artists who appears in the documentary film Donald Duck Ð Le Vilain Petit Canard En Nous, which is being shown in Montreal at FIFA, the Festival International du Film sur l’Art. Donald Duck fans (Donaldistes in French, if I heard correctly) have yearly conferences where they present serious papers about him. Among the statements made by assorted talking heads: Donald Duck is never satisfied, he always wants more. He wants fame and recognition. He is ordinary, naive, but not an idiot. We can all identify with him; he can be a clown, evil or generous. He never wins, but he never gives up. Okay then. Then, the film turns to winners and losers and success, with segments about the Razzie Awards (it’s a rather long segment), the Funny or Die comedy-video website, life coaches, the tradition of the village idiot, and an excerpt from the German version of the TV show The Office. To be honest, this second part was not that interesting for me. Donald Duck – always full of big dreams! 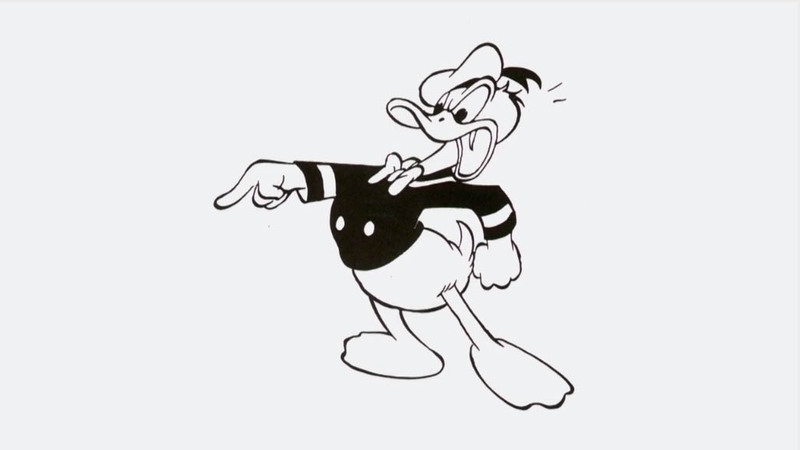 Image from the documentary film Donald Duck Ð Le Vilain Petit Canard En Nous, which is being shown in Montreal at FIFA, the Festival International du Film sur l’Art. Pet peeve: This film is made for French audience. When anyone is speaking a language other than French, a translator talks on top of them. No subtitles. Two people talking at once. Annoying in the extreme. There should be a law, I say! French painter Gustave Courbet (1819-1877) was admired by some and mocked by others. He was self taught, which earned him the scorn of academicians. He hobnobbed with the rich and powerful though he sided with workers and disadvantaged. 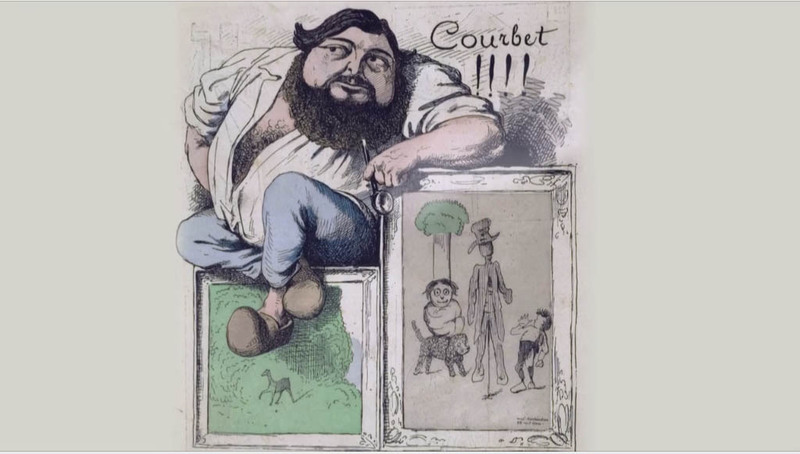 The 26 minute film takes a quick look at Courbet’s life and works before turning to his large and crowded work with the long name – The Painter’s Studio: A Real Allegory of a Seven Year Phase in my Artistic and Moral Life. 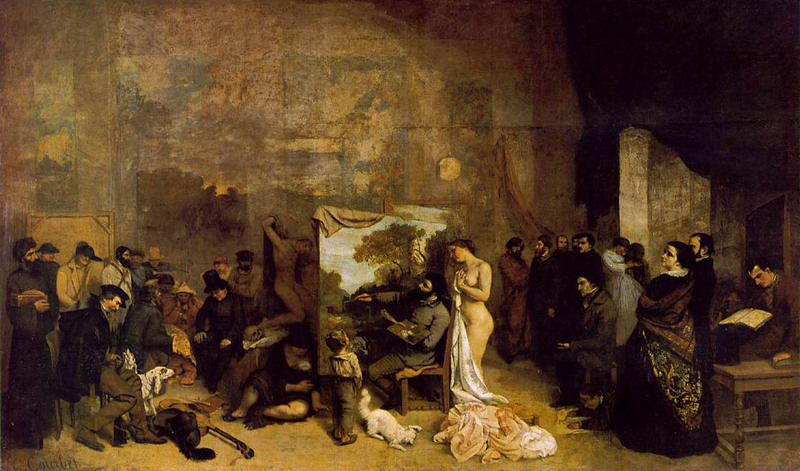 The Painter’s Studio: A Real Allegory of a Seven Year Phase in my Artistic and Moral Life, by Gustave Courbet. In examining the many possible reasons for this refusal, the filmmakers tell us about the many styles that appear in the painting – portraits, still life, history painting – and the people in it, who include George Sand, Charles Baudelaire, Pierre-Joseph Proudhon, and the Emperor Napoleon III himself. He had been elected president of France but later staged a coup d’etat and declared himself emperor. In the painting he is portrayed as a hunter wearing tall leather boots. Censorship was so strong at this time that the mere mention of “boots” could result in a prison sentence. 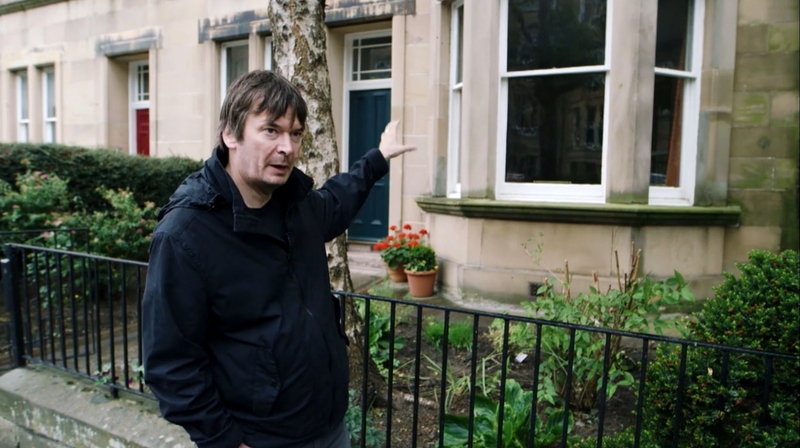 This film is filled with a wealth of detail and historical information. Les Petits Secrets Des Grands Tableaux – Courbet, L’atelier Du Peintre will be shown as part of a double bill with Beatus: The Spanish Apocalypse, which is 90 minutes long, on Friday, March 27, 2015 at 1:30 p.m. at the Musée des beaux-arts de Montréal – Maxwell-Cummings Auditorium, 1379 Sherbrooke St. W.